Lenovo in recent times have launched quite a few budget friendly as well as some mid-ranged devices sporting decent specs and sleek aesthetics. These devices were mainly catered towards the masses who are on the lookout for easily affordable devices without putting much pressure on their wallets. 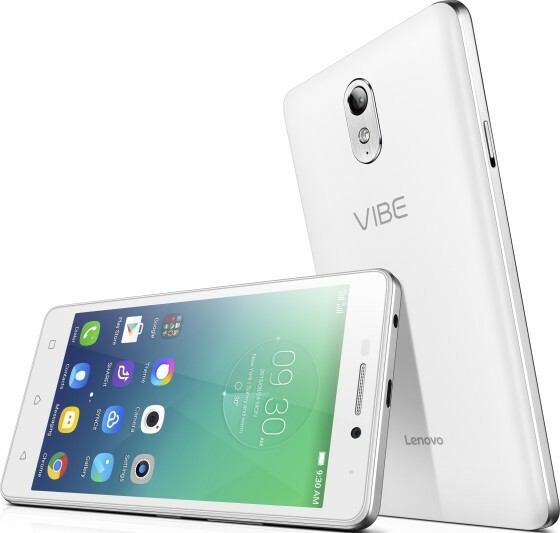 Adding to their already impressive range of devices, the company today announced the launch of the Lenovo VIBE P1m. The highlight of which is its massive 4000mAh battery that promises to easily last for up to two days. Another unique feature includes a first of its kind physical power saver switch which when enabled, extends the battery life by scaling down power draining functions like GPS, Bluetooth, Data Connections etc; while at the same time providing accessibility to basic applications like the clock, calculator, SMS and a host of Wi-Fi enabled apps. Another notable feature of the device is the MediaTek MT6735P 1.0GHz Quad-Core processor running on the 64-bit core architecture. As far as the other tech specs are concerned, the VIBE P1m sports a 5.0″ 720p HD IPS display, an 8MP rear and a 5MP front camera, 2GB RAM, 16 GB of on board storage with support for a Micro SD card up to 32gb, 4G LTE, Dual Micro SIM support and Android 5.1 Lollipop running on Lenovo’s custom VIBE UI. Besides the aforementioned specs, the one thing that caught our attention is the devices support for USB OTG (On the Go) charging. For those of you are unfamiliar with this term, OTG functionality allows you to charge any mobile device by connecting it with your VIBE p1m using the OTG cable (included in-box) quite similar to the way we all use our power banks which has become a common norm these days. The Vibe P1m is the perfect phone for an active lifestyle. The Splash-proof, nano-coating technology protects the phone from everyday splashes and spills. It also dramatically increases the reliability of the device. The hydrophobic layer ensures superior liquid repellency, leaving no weak points to attract moisture and corrosion making it the ideal phone for people with sweaty palms. The Lenovo Vibe P1m is currently priced at PKR 17,900 and is available in two colors: Onyx black and Pearl White. So what do you guys think about Lenovo’s latest budget friendly smartphone ? Do share your thoughts with us in the comments below. Cheers !